John Howard became Australia's 25th prime minister when the Liberal Party won office, replacing the Labor government led by Paul Keating. John Howard digested lessons from his many years in parliament to become a highly disciplined and professional politician who left nothing to chance. Howard’s skilled use of rhetoric helped him communicate his vision of economic prosperity and social conservatism and become Australia’s most electorally successful prime minister since Menzies. Howard grew up in the Sydney suburb of Earlwood and became aware of politics from family discussions about the impact of petrol rationing on his father’s service station business. He left Canterbury Boys’ High School in 1956 to study law at the University of Sydney and joined the Young Liberal Movement in 1962. Howard became president of the New South Wales Young Liberals and won pre-selection for the state seat of Drummoyne in 1968. He did not win the seat, but went on in 1972 to become vice-president of the state Liberal Party and work on Billy McMahon’s election campaign. In the 1974 election, Howard won the federal seat of Bennelong and soon became the Minister for Business and Consumer Affairs and then Treasurer by 1977. Howard was Leader of the Opposition at the 1987 election, but his campaign was damaged by the push to bring Queensland Premier Joh Bjelke-Petersen into federal politics. Thereafter Howard was one of several contenders for the leadership and, at one point, likened his aspirations to ‘Lazarus with a triple bypass’. 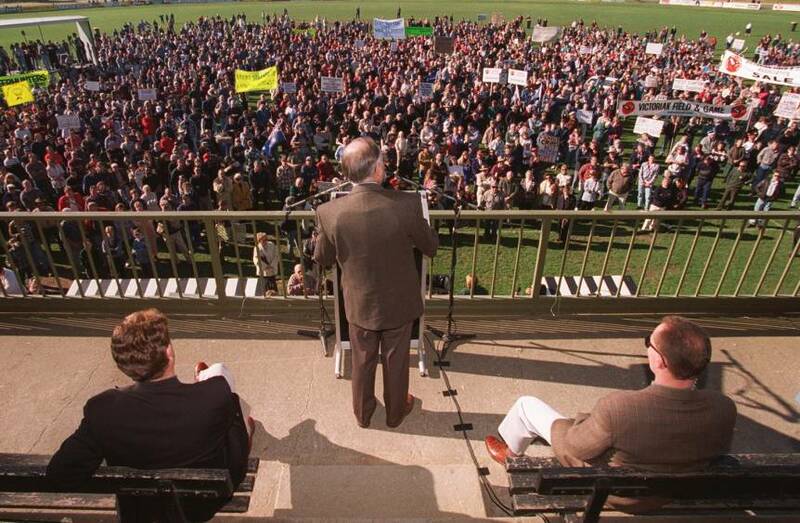 Howard’s time came again in 1995 when he was returned as Liberal leader. In 1996, Howard became prime minister and went on to secure another three terms in office. Howard would preside over one of Australia’s longest periods of economic expansion. When the end came, policy certainty became perceived as rigidity. The One Nation Party is launched by Pauline Hanson on 11 April 1997 and controversially calls for tighter laws to restrict immigration. On 13 February 1998 the Constitutional Convention votes that a proposal for a republic with a president appointed by Parliament be put to the Australian people. The referendum is held on 6 November 1999 and the model is rejected by the public. Malcolm Fraser is appointed as a special envoy of the Australian government on 19 April 1999 to secure the release of CARE Australia aid workers Steve Pratt and Peter Wallace imprisoned in Yugoslavia. The Federal Court upholds the validity of native title sea rights relating to Croker Island in the Northern Territory on 3 December 1999. The government had appealed against an earlier Native Title Tribunal decision. The Governor-General opens Olympic Games in Sydney on 15 September 2000. The bid was lauded for transforming polluted land around Homebush Bay into a model Olympic village. The Commonwealth Heads of Government Meeting in Coolum, Queensland on 4 March 2002 establishes a committee to determine the Commonwealth response to the Mugabe regime in Zimbabwe. The Council of Australian Governments (COAG) agrees to a National Water Initiative and the establishment of the National Water Commission on 25 June 2004 to manage Murray-Darling Base water more efficiently. The Australia-United States Free Trade Agreement is passed in Parliament on 13 August 2004 after negotiations over a number of years. The agreement comes into operation on 1 January 2005. On 26 December 2004 a massive tsunami brought major devastation and loss of life to eleven countries, including Indonesia. The Australia-Indonesia Partnership for Reconstruction was formed to assist Indonesian recovery. The Asia Pacific Economic Cooperation Forum is held in Sydney on 8 September 2007 and a giant APEC Australia 2007 logo is attached to Sydney Harbour Bridge. After only two months in office, Howard was confronted by the tragic shooting at Port Arthur in Tasmania. He responded decisively, introducing uniform gun laws and a gun buy-back scheme. After intensive bargaining with the Senate, Howard obtained the numbers to allow for the sale of up to half of Telstra. Industrial relations reform was always a core issue for Howard and in January 1997 the Workplace Relations amendments were passed. After the High Court’s Wik decision the government enacted legislation to calm pastoralists’ concerns over Indigenous native title. In the October 1998 election the Goods and Services Tax (GST) returned as the dominant issue of the campaign. Howard narrowly won the election and the GST came into operation from 1 July 2000. In 1999 the government supported the East Timorese independence push from Indonesia and Australian troops led the United Nations peace keeping force deployed to Timor. During the 2001 election campaign the Norwegian ship MV Tampa was prevented from landing rescued Afghan refugees in Australian waters. This was soon followed by the ‘children overboard’ affair and led to the controversial border protection policy that remained prominent throughout Howard’s period in office. The issue of national security took on increased significance after al-Qaeda terrorists attacked New York on 11 September 2001. This ushered in the war on terrorism and framed the remainder of Howard’s prime ministership. 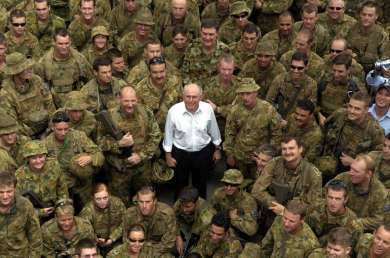 Australian troops were sent to Afghanistan and Iraq in 2003 to support the American-led coalition. Also domestically security was heightened in response to the loss of Australian lives in the Bali bombing. Howard won a fourth term in 2004, but was weakened by the strong reaction against his WorkChoices reform. In his management of the party and Cabinet, Howard again showed how well he had learnt from his experience as opposition leader. After the initial loss of a number of ministers, when their holding of share portfolios raised concerns over conflicts of interest, Howard’s ‘astuteness and judgement came to the fore.’ Helen Coonan, Minister for Communications said, ‘If you can’t explain policies to Howard in a way he quickly understands you won’t be able to explain them to the public. He is a very good tester in that way.’ The rigid timing that Howard held to for Cabinet meetings was not applied to the party room meetings he chaired. At these meetings all members who wanted to speak were given an opportunity, Howard generally did not interrupt or let others do so. Howard understood the importance of open dialogue with the backbench. In his relations with Coalition partner the Nationals, Howard recognised the need for them to acknowledge their constituency and on occasion differentiate themselves from Liberal initiatives. As the 2007 election approached, Howard was increasingly looking out of touch compared to a resurgent Labor under Kevin Rudd and the leadership rivalry with Peter Costello remained unresolved. Howard asked Alexander Downer to sound out his colleagues on the future of his leadership, but in the end they would not push out the leader who had won four elections. On 24 June 1997, Howard experienced what he described as one of the highlights of his period as prime minister when, ‘as a self-confessed cricket lover’, he opened an Ashes exhibition at Australia House. The exhibition had been curated by David Frith, a cricket historian and founding editor of Wisden Cricket Monthly. Frith had attended Canterbury Boys’ High School with Howard and played for the school cricket team. It was to be some 30 years later that their paths crossed again. Frith was now living in Great Britain, and Howard was opposition leader, and both were part of a radio discussion about South African cricket. In what Frith describes as a ‘susceptible moment’, Howard told Frith that he had been one of his schoolboy heroes. The pair continued to run into each other at cricket matches and functions over the years, including at the fifth test in Sydney in 2007. Frith recalled that with Australia having just retained the Ashes, and with the urn on exhibit in the country, Howard suggested it should stay behind. He mischievously responded that as a long term member of the Marylebone Cricket Club, he would propose at the next general meeting that Howard’s honorary membership be revoked for advocating ‘what amounted to the theft of the famous urn.’ Howard was labelled by former Australian cricket captain Mark Taylor as a ‘cricket tragic’ and since leaving office has taken positions with the board of the Bradman Foundation and patron with Cricket NSW. At the official opening of the Child Deafness Research Laboratories in Melbourne on 11 February 2000, Howard announced to the audience that it was a project in which he had a personal interest. Howard had experienced poor hearing since childhood and did not get his first hearing aid until he was 19 years of age. He was forced, up to that point, to rely on an impressive memory to compensate for the hearing loss. Howard recalled his ‘teenage years wearing one of those then not so invisible hearing aids.’ Adding, with feeling, ‘and nothing quite touches us as a physical affliction of a child. 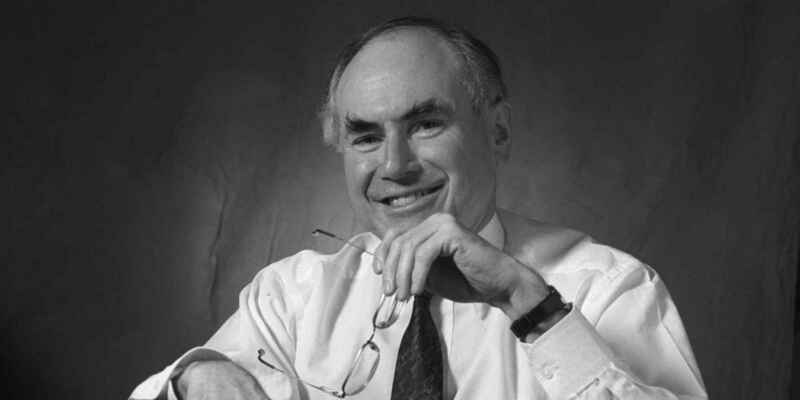 Profound deafness or blindness or disability is something that all of us melt in compassion and sympathy before.’ In the speech Howard acknowledged the ground-breaking work performed by cochlear ear implant inventor Professor Graeme Clark and that such breakthroughs had come about due to ‘linkages between universities and the private sector’. Howard concluded by saying that he felt all Australians would have ‘an immense personal commitment and sense of excitement about doing something that improves the quality of lives of young Australians.’ After leaving office, Howard has continued his advocacy for research into deafness and gave the keynote address at the National Deafness Sector Summit in May 2016. ..violence as a method, particularly through the use of firearms, of settling disputes, of playing out emotions ... is unacceptable to us in Australian modern society..